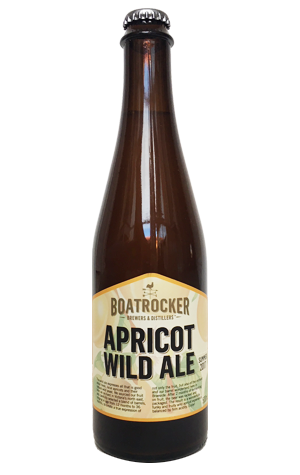 The Apricot Wild Ale is one of a growing number of Boatrocker beers that has enjoyed quite the journey before making it into your hands. For one, there was the journey to Victoria's north east to collect the apricots from an orchard. Then there was the two months the fruit spent in the company of a blend of beers from various barrels aged between 12 and 36 months at the Barrel Room. As such, while the fruit was picked in summer 2017, the beer didn't leave the brewery until autumn 2018. And, as with many of the brewery's sour releases now the barrels and bugs have had years to develop character and depth, it holds back little when it comes to delivering a sensory overload, particularly when it comes to acidity and a puckering tang. The experience sweeps from the initial fruit aromas through a barnyard/straw like funk, leaving a prickle of acid and booze as well as a little sweetness as it goes before, ultimately, finishing dry. If you were to find its closest companion in the booze world, you'd likely be looking at a gripping, rustic farmhouse cider.